Did King County Censor Emails to Employees? Coalition members deliver a flyer to King County employees in person to let them know that the ACLU has signed on to figure out if King County has been blocking e-mail messages to them about the youth jail. No New Youth Jail Coalition members argue that the County’s apparent actions are only the latest in a pattern of attempting to repress public outcry about the controversial youth jail project. The No New Youth Jail Coalition has been part of a six-year fight against the $233 million project to build a new youth jail and court complex at 12th and Alder in Seattle. In March, the Coalition delivered a letter to Constantine outlining the widespread opposition to the project and demanding a moratorium on construction. 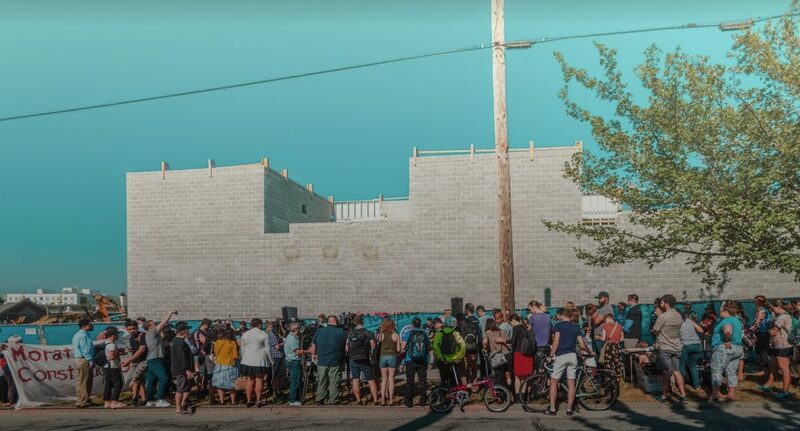 When Constantine did not reply, the Coalition declared a “People’s Moratorium” and has engaged in sustained protest aimed at stopping construction and redirecting the resources for the project and the site itself toward unmet human needs rather than youth incarceration. Previous King County May Be Blocking Youth Jail Opponents’ Emails to County Employees!